Montel Williams: If you'd do anything to help the kids of Parkland, then why not support gun control? Montel Williams If you'd do anything to help the kids of Parkland, then why not support gun control? Doing nothing to help the kids who will suffer in an inevitable future shooting is an inexcusable moral failure. Let’s not continue to cheapen the suffering of the children in Parkland, Fla. — or in any of the too many places like Chardon, Ohio and Marysville, Washington that have also endured school shootings — by pretending there is nothing we can do about this epidemic of violence, because there is. Let’s not pretend that a majority of gun owners like me don’t support a long list of gun safety proposals just because the NRA says we don't: We do, and we have for decades. According to the Pew Research Center, 77% of gun owners favor (either strongly or somewhat) universal background checks, and 54% percent of us even support a federal database to track gun sales. There are a lot of concrete actions our government could take tomorrow, ones that strong and even overwhelming majorities of us support. Take, for instance, even mental health services: We have a broken mental health system, and everyone seemingly agrees that there is a mental health component to the gun violence puzzle. Yet our government leaders have be negotiating to spend $25 billion on a border wall conceived for political expediency, not necessity. Let’s take some of that money to deal with the mental health crisis we all know contributes to massacres like these all too often. I can't stand to see any more children need to get slaughtered for no reason while our government does nothing. I’ve personally spent a lot of time with victims of school shootings: I’ve prayed with many families of fallen victims, I’ve walked the hallways of too many schools in the aftermath of these incidents, spoken at too many annual remembrance ceremonies. They’ve allowed me to travel with them down their road to recovery as a fly on the wall, long after the cameras and the attention are gone and it’s been both an honor and incredibly inspiring. So I know that, for a long time, the kids in Parkland will freeze when they hear a siren, spook when they hear a loud noise and panic if they hear a helicopter. For the next few days they’ll find the media attention a convenient distraction but, when all the cameras leave because we’ve moved on to the next episode of what’s becoming an increasingly sickening national reality show, these kids will be in the emotional fight of their lives, and nothing will change in this country. When you spend enough time with kids like these, especially right after a school shooting, you notice a look they all have in their eyes; it’s haunting, and it’s burned into my consciousness. Every time I hear the nonsense phrase There’s nothing we can do I see their faces in my mind, and I take a moment to reflect on the pain I’ve witnessed each of them endure. Many of us would have done just about anything to take on a piece of that pain for these kids. Continuing to do nothing to help the next group of kids who will suffer in an inevitable future shooting is an inexcusable moral failure. These kids are not ratings points; they are not characters in a national reality show. These are children whose hearts are broken, whose innocence and sense of safety has been shattered. They need to be listened to, they need to be loved and they need to be reminded they are safe. We need to listen to them on their terms and respect their boundaries. We also need to not put them cruelly out of sight and out of mind in a week or two when the next episode of our national reality show inevitably begins. 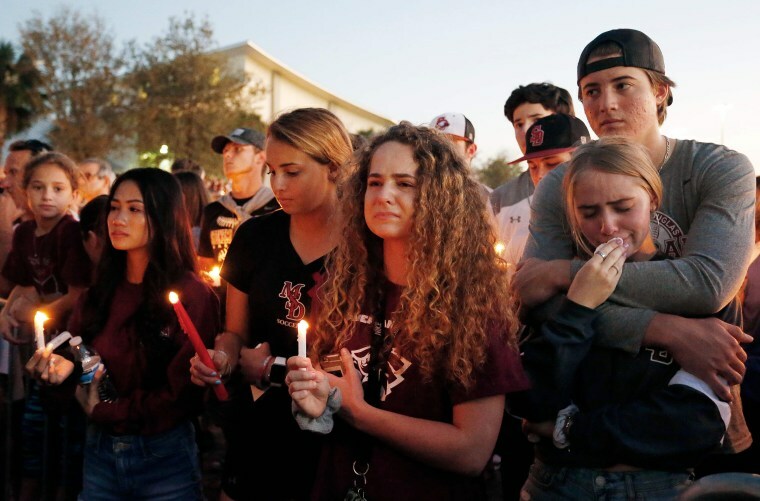 I’ve been listening carefully to some of the students who attend Stoneman Douglas, whom I’ve been honored to communicate with, and I’ve found each of them inspiring for different reasons. I’ve heard about the coaches and friends they’ve lost and I’ve heard them express their pain with the kind of eloquence that generally only comes in private. The time I’ve spent with these extraordinary young people and so many others whose innocence was stolen when gunshots broke out in their schools has changed me. I’ve been with them for their lowest lows, when it was all they could do to hold back their tears, and I’ve been with them on the mountaintop cheering on their wins. The next time one of them tells me that he can't watch this happen again and asks me what needs to be done, I need to have a better answer. It’s time to stop playing games. Our children’s lives depend on it. 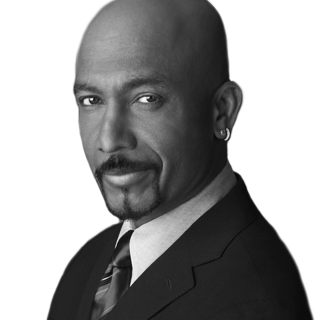 Montel Williams, a 22-year veteran of the Marine Corps and Navy who served primarily as a special duty intelligence officer, went on to start the Emmy-award-winning "Montel Williams Show" that ran for 17 seasons.